Home is where the heart is, but sometimes peace is disrupted by unpredictable issues that require your immediate attention. Making sure that you take care of your home inside and out to maintain the look and its structural integrity is incredibly important. Here are four signs that you should look for when your home requires maintenance to keep your home in tip-top shape. To ensure a cool summer, your AC unit should be one of your top priorities to keep up with. To prevent problems, never ignore are poor airflow or lack of cool air coming from vents, especially if your AC should be running. Whenever this happens, you should contact either the manufacturer or a reputable AC company to take a look as soon as possible. The strain on your unit could cause failures in the compression, and if it is left untreated, your unit may need to be replaced. Also, listen for strange noises coming from the AC. Clanking or banging noises are indicators that there is a major problem that should be addressed before a larger issue appears. Pests, in general, can be annoying to deal with, but termites come with a lot more problems than other pests do. According to Proforce Pest Control, a single colony infestation can contain up to a million termites, constantly eating away at the wood in your home. That isn’t something to mess around with. One of the most obvious signs of termites is mud tunnels leading from the ground and connecting to your foundation. This is where the termites are entering. If you see any of these, don’t break them. Instead, call a pest control company immediately. The faster you act, then less damage your home will sustain. While cracked paint doesn’t necessarily indicate severe damage, you do need to repair it. Not only is cracked and peeling paint unattractive, but the paint also protects the wood underneath. Without the paint, the wood may be more susceptible to damage or discoloration. 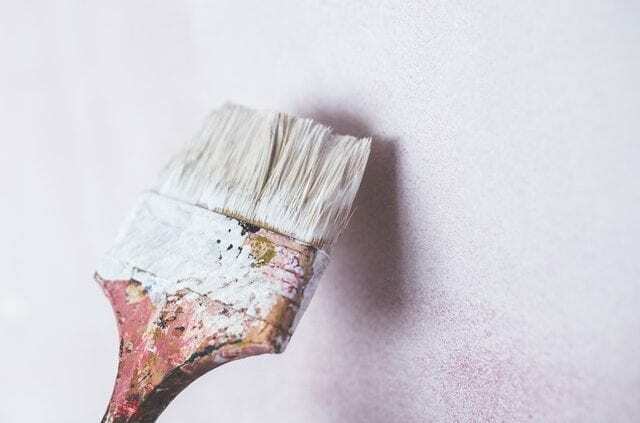 If you have cracked or peeling paint, make sure that it isn’t the result of a problem like excessive humidity. You should repaint or refinish the area as soon as possible to protect the surface and keep your home looking nice. Your home siding is an important home feature that you shouldn’t ever neglect. Not only does your siding make your home look nice, but it also protects the outside of your home from damage and pests. If you notice that your home’s siding has started to warp, rot, loosen or crack, you should replace it immediately. If you have experience replacing siding, you can fix it yourself, or you can get a professional. Our homes are where we create our fondest memories with loved ones and friends. Making sure that your home is safe and sound is very important, so don’t neglect the upkeep of your home. You don’t need to be paranoid, but make sure you keep an eye on areas that may be susceptible to problems. These Double-Duty Paints Do More Than Just Look Pretty Do Floridians Need to Worry About Frozen Pipes?